Who doesn't like a trip to the beach or a campsite? But all that sand on your beach towel sure gets in the way sometimes. 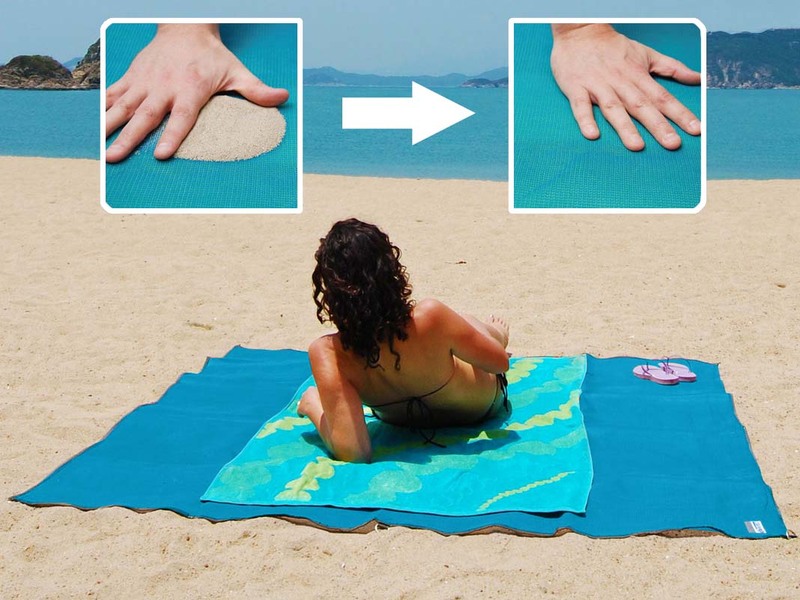 This sandless beach mat finally solve that problem! 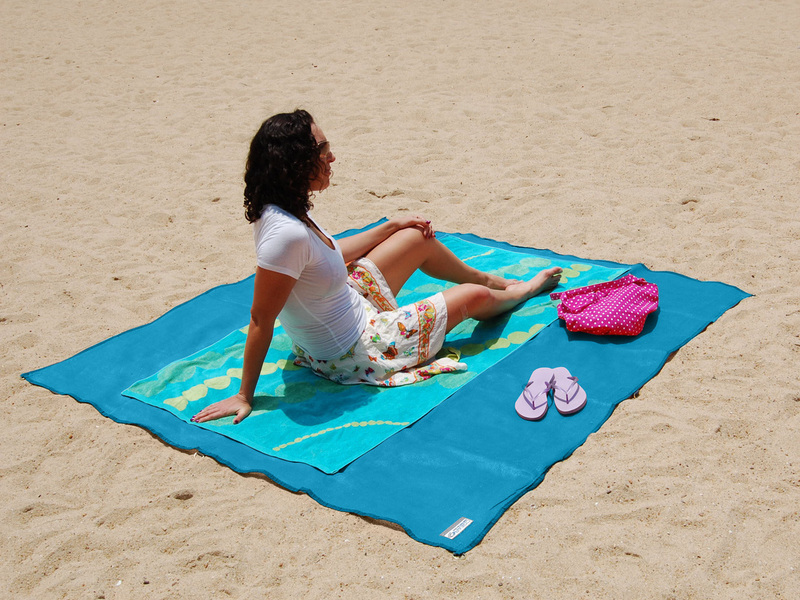 The mat consists of two sand-permeable layers that cause the sand to seep through but not seep back up! The technology was actually derived from helicopter pads, where it was used to prevent dust clouds. 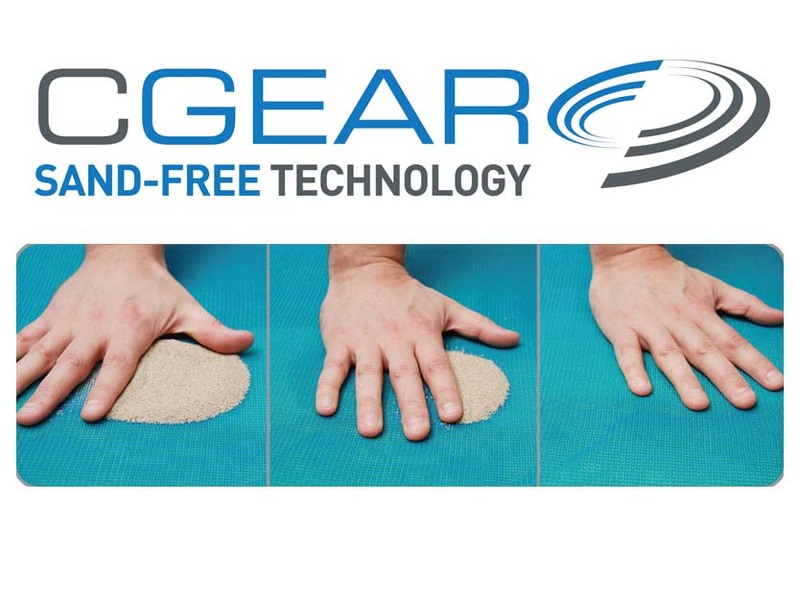 Creating a sandless towel was the next logical step. 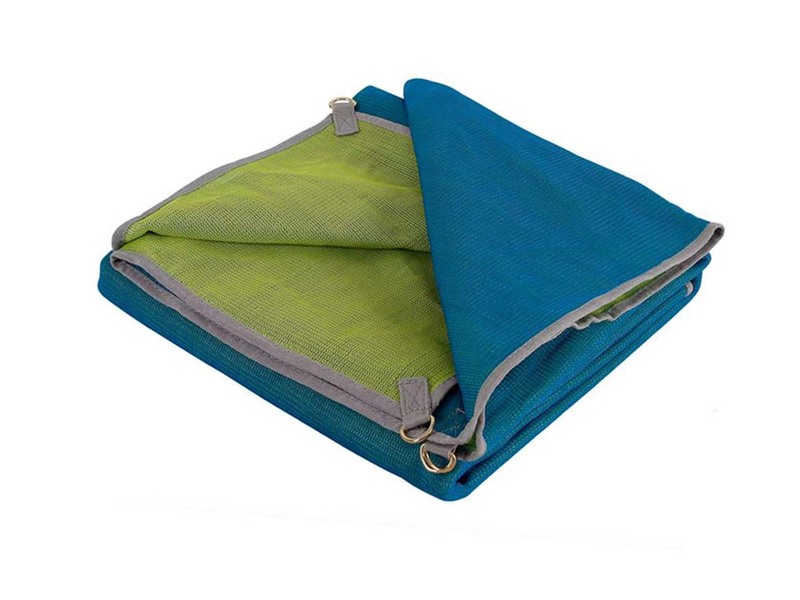 Perfect for picnics too, because we all know that snacks taste just a bit better without sand all over them. 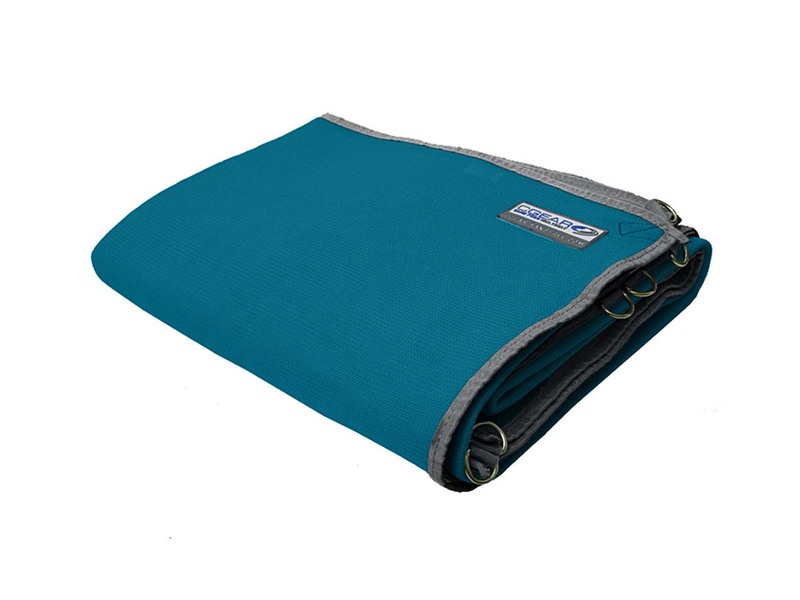 This sandless beach mat even comes with convenient D-rings that allow you to tether it down with tent pegs. 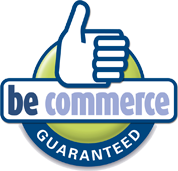 Need even more comfort? Just put an extra towel on top for some additional cushioning.